Perfectly positioned in the park. Gorgeous 1930s European-inspired estate of rolling lawns and mature landscaping create an elevated sense of privacy. Rooms designed with intention; cozy library, large living room with mahogany fireplace, updated commercial quality kitchen and dining room with private balcony. 3 well-sized bedrooms on top floor, inc. master. The garden level offers a family room/4th bedroom, mudroom and 2 car garage. 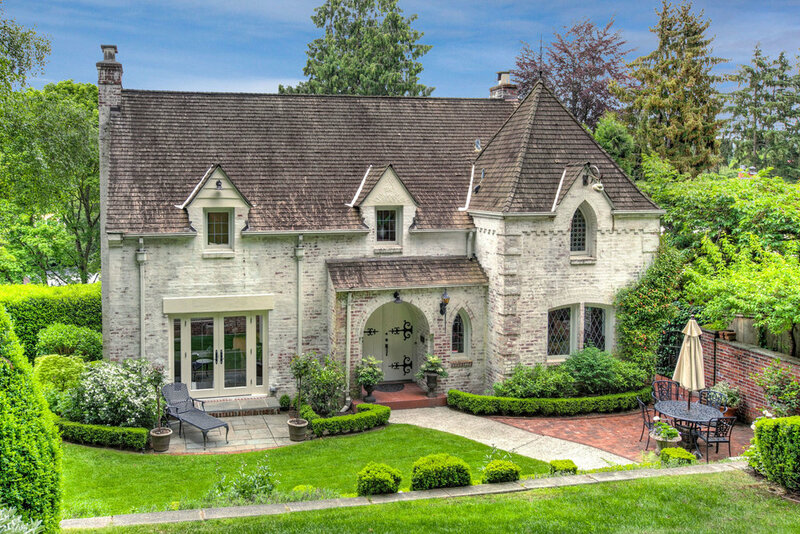 A masterpiece located moments from Montlake, SLU and lightrail.